Every month Studio 35 Cinema and Drafthouse hosts a beer tasting coupled with the screening of a classic movie, and by classic I mean a movie too old to be showing anywhere else. The beer tasting precedes the movie and is usually accompanied by someone from the brewery talking about the beers, interspersed with comedy shorts from the internet/TV, and a raffle of items like brewery swag and free movie passes. This past Sunday the featured brewery was Jackie O’s in Athens and the commentary was delivered by head brewer Brad Clark. Jackie O’s makes so many beers that don’t get widely distributed (although that situation is improving since they’ve opened their new production facility) so I didn’t hesitate at the chance to attend this tasting. I had no trouble talking my friends Ted Clark and Mark Richards into joining me. They contributed their keen palates and opinions to the critiques listed below. In case you are interested the movie was the 1980’s film Weird Science, directed by John Hughes and starring Kelley LeBrock, Anthony Michael Hall and some other dude who is now long forgotten. Ja Bitte (4.9% abv) – We started with this easy drinking Kölsch. Light and crisp with a smidge of fruity esters. Translated from German Ja Bitte means “yes please” which is what you should say if offered a pint of this beer. If you are looking to convert a macro lover to a craft beer connoisseur this is a good place to start. Firefly (5.0%) – I learned that their amber ale Firefly is based on the recipe for a beer called Hocking Hills Pils that was made by the now defunct O’Hooley’s, the pub that used to occupy the space where Jackie O’s now resides. I didn’t find too much to get excited about here. 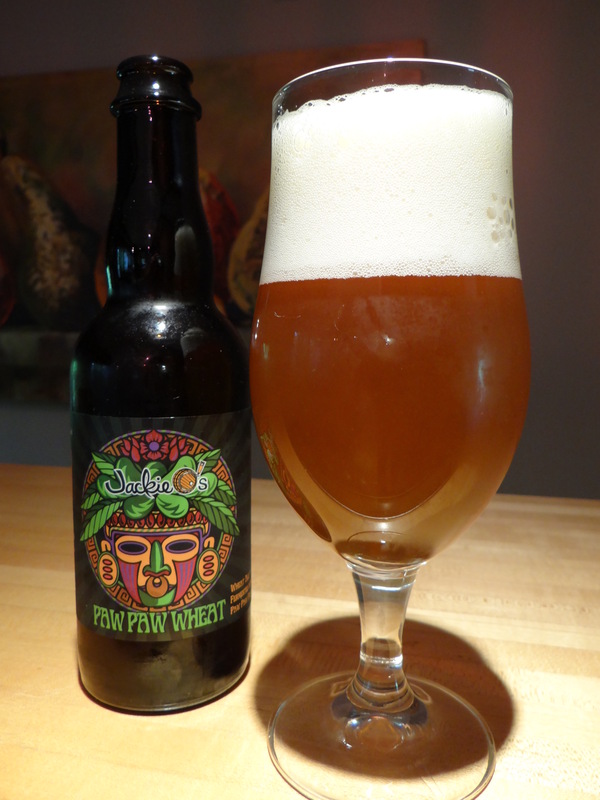 Paw Paw Wheat (9.0% abv) – Don’t let the name fool you this is not a girly fruit beer, but a heavy hitter whose mouthfeel and abv have more in common with a Belgian trippel than an Oberon. See my review from earlier this year for more details. Paw Paw Hefeweizen (6.7% abv) – This one was new to me and one of my favorites from the tasting. The combination of paw paws and the Hefe yeasts (fermented on the high temperature side) make for one of the most banana forward beers I’ve stumbled across. All three of us felt it was superior to the Paw Paw Wheat. It was possibly my favorite beer of the tasting, but it’s a treat for banana lovers only. Lizard Queen (5.0% abv) – Packaged just last week this is a collaboration beer made with the brewers at Tired Hands, who came out to Athens from Ardmore, PA to try out Jackie O’s brewing system. A session pale ale dry hopped with Centennial and Motueka hops from New Zealand. The hop notes are fruity, but at the same time have a bit of that New Zealand funkiness. Lizard Queen is notable for its super dry finish and the unusual lime note that comes from the Motueka hops. Hop Ryot (6.5% abv) – This Rye IPA is a familiar one to hop lovers in central Ohio. I learned at the tasting that this beer is hopped exclusively with Simcoe hops. The spicy notes from rye are really fantastic and the Simcoe hops do their magic but stop short of catty in my book (even if Brad Clark started his description of Hop Ryot by comparing it to cat piss). Dirty Water (10% abv) – This is a 10% abv double IPA and another new Jackie O’s beer for me. Hop extract is added at the beginning of the boil and no additional hops are added until the whirlpool when a boatload of Motueka, Galaxy and Centennial hops are added. Cane sugar is also added to boost the abv without going overboard on the sweetness. Following Mystic Mama the heavier body and increased residual sweetness of a DIPA were noticeable, but it was still very drinkable with very little alcohol taste despite the high abv. For every keg of Dirty Water sold Jackie O’s donates $25 to water.org and that money goes to build fresh water drinking wells in third world countries (click here for details). Barking Pumpkin (9.2% abv) – Named after Frank Zappa’s record label, Barking Pumpkin is Jackie O’s pumpkin ale. The flesh of locally grown pumpkins is roasted in the pub’s pizza ovens and glazed with brown sugar and honey before being added to the beer. Brad said he was going for a spice profile that was closer to Indian food than a pumpkin pie and the results is a celebration of malty goodness accented (not overwhelmed) by notes of coriander, ginger and cinnamon. More Tim Burton than Charlie Brown this rich decadent beer is one of the best pumpkin beers around. 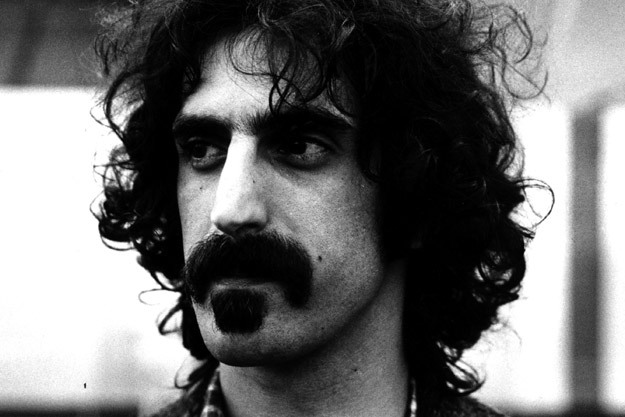 Oil of Aphrodite (10% abv) – This is another Frank Zappa inspired name (as is Mystic Mama, which evolved from an earlier beer called Magic Mama, Brad Clark is clearly a big Zappa fan). Oil of Aphrodite is an imperial stout made with English, German, American and Belgian malts, Pacific Northwest hops, Belgian candy syrup, and locally harvested black walnuts. A big, complex beer perfectly suited for sipping during the cold nights of winter that seem to have descended upon us. We did stick around for the movie and tried the other three Jackie O’s beers that were being served on tap, but not included in tasting—Racoon Dubbel, barrel aged Brick Kiln Barleywine, and a Saison (I believe was called C.S.A. Saison). While all three were damn good, the saison, halfway between a classic saison and a sour, was one of my favorites of the night. Generally speaking the beers from the tasting stay on tap at Studio 35 until their gone, so head on over to Indianola Avenue soon and you can sample an extensive selection of great Jackie O’s beers while they still last. You might also want to consider heading down to Athens on the Weekend of December 5-6 for their next bottle release and anniversary party (click here for details, and here for the tap list). I’ve heard these are unique, not to be missed events. If you are curious what to expect from a Jackie O’s bottle release check out Tom Aguero’s informative post on one of these events from last year.